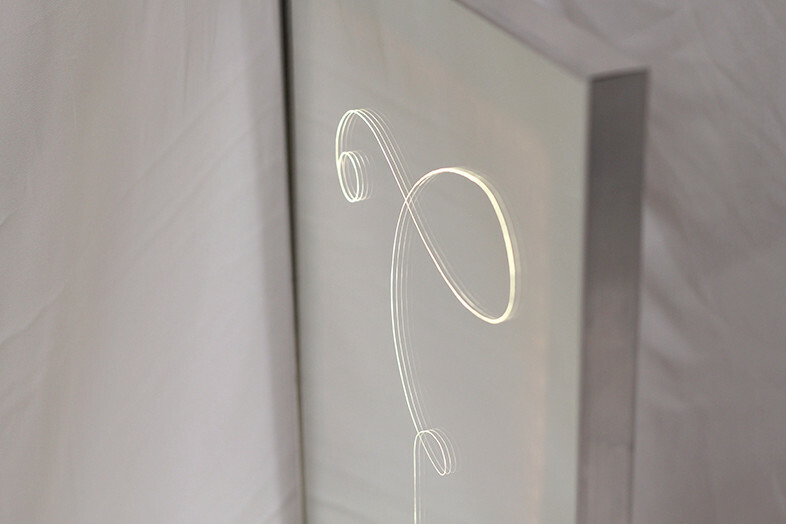 In the sculpture string figure a motif emerges within the mirror plane via the hand etched process of de-silvering. 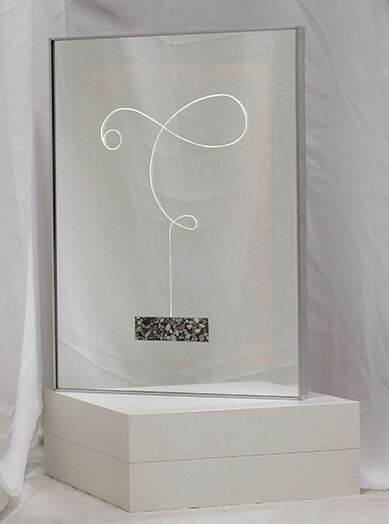 Borrowing its title from Donna Haraway's essay on 'SF', the work references both the temporary string figures created between a person's hands and the infinite one-dimensional 'strings' at the core of string theory. 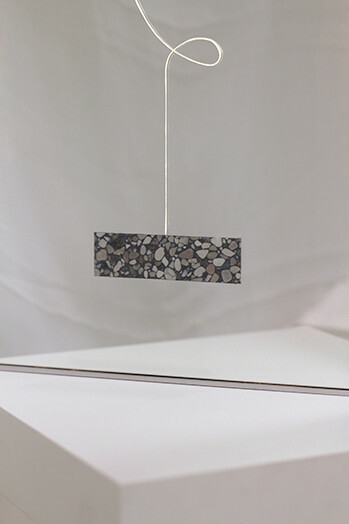 Tom Blake's solo and collaborative practice utilises fragmented moments and symbols as potential sites for contemplating the psychological frameworks and technological networks that surround us. Tom has exhibited in Australia, Japan and Italy and has been a finalist in Fremantle Arts Centre Print Award, the Fisher’s Ghost Art Award, the CLIP Award and the Blake Prize. In 2013, Tom was awarded a Clitheroe Foundation Mentorship, allowing him to spend a year working with Ken Unsworth. Tom has undertaken residencies with the Museo de Arte Moderno (MAM) Chiloé, Fremantle Arts Centre, Perth Institute of Contemporary Arts (PICA), North Metro TAFE (formerly Central Institute of Technology), Tenjinyama Art Studio and is currently a One-Year Studio Artist at Parramatta Artists Studios. Tom is also part of momo doto, an ongoing collaboration with Brisbane-based artist Dominique Chen.